I love this rain garden in my neighborhood, on land owned by my co-op, even as it’s changed over the years. There once were many more types of plants here, though without a plant list I can’t name them. 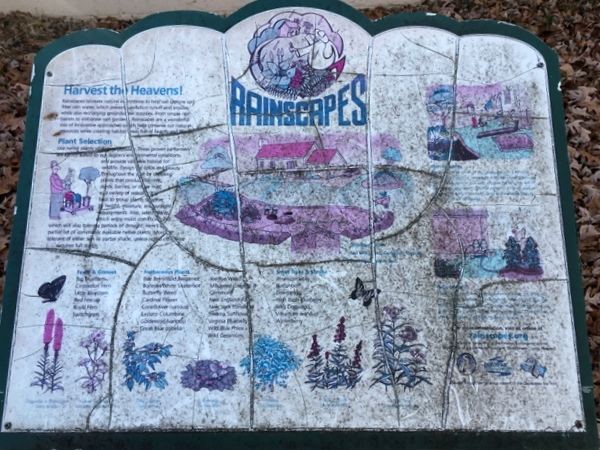 Here’s the only sign at the garden, an old, weathered one with information from a local RainScapes program. 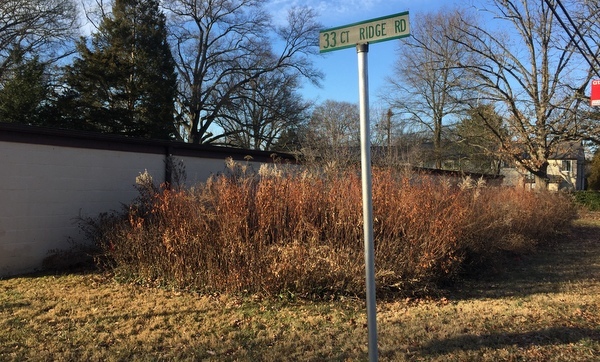 Makes me wonder how many other rain gardens, lacking regular maintenance, have become dominated by tall species and whether money spent on short plants could have been saved altogether. 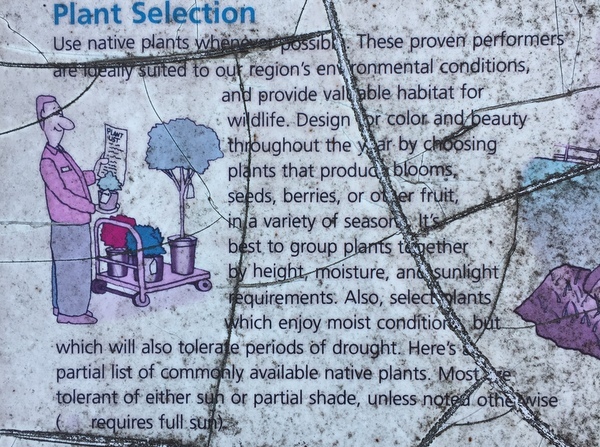 This close-up of the rain garden sign demonstrates how challenging plant selection is for rain gardens – what a tall order of plant qualities! – and has me concluding that rain gardens are jobs for professionals. Make that professional designers with specific rain garden experience who take into account the maintenance plan for the garden – if any. 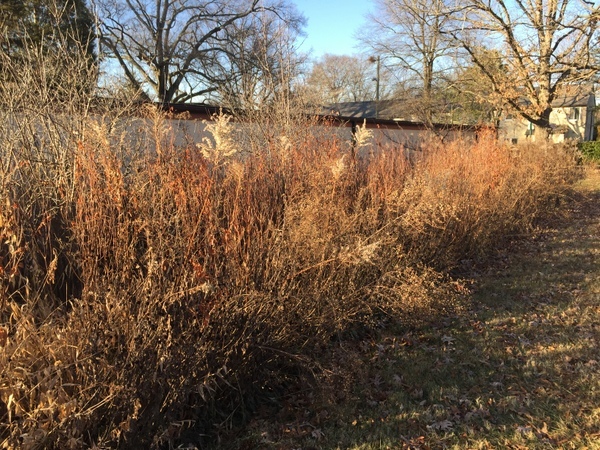 What Happens when a Rain Garden isn’t Weeded originally appeared on Garden Rant on February 8, 2018.